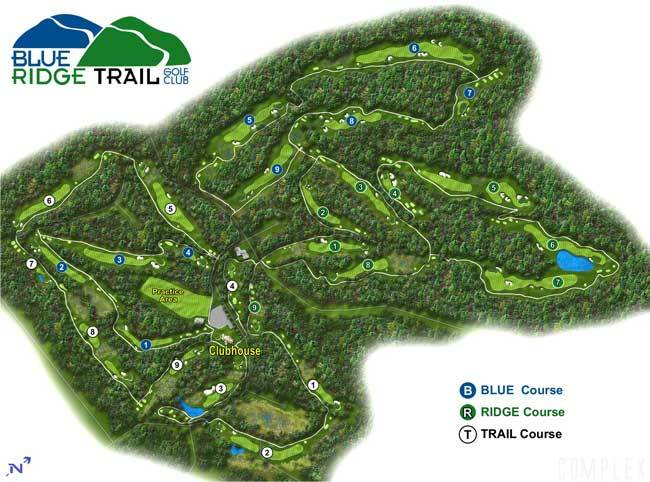 Welcome to Blue Ridge Trail Golf Club! Blue Ridge Trail Golf Course is a 27 hole Championship course designed by Ault, Clark and Associates who are also known for designing Toft-Trees in State College, PA, the TPC at Avenel in Washington, DC and The Woods Course at Kingsmill in Williamsburg, VA.
Beginning with the natural setting of the rolling hills of Northeastern, PA, Blue Ridge Trail is thoughtfully carved out of the woods and valleys. The result is a course with a private feel and breathtaking scenery. Its unique layout, with no parallel fairways, lends character to its serene setting. With five sets of tees -- from beginner to low handicapper -- it is a course everyone can enjoy, play and appreciate. Blue Ridge Trail is open to the public. Check out our new GPS systems for the 2019 season! The TFM 10EX GPS unit!